Every year thousands of dolphins and small whales are killed in hunts across the globe. While the hunts that take place in Japan and the Faroe Islands are well documented, hunts take place in other parts of the world on an almost daily basis. One of the drawbacks to making headway with this issue is that there is limited information available, yet the number of small whales, dolphins and porpoises taken is thought to far outweigh the number of large whales/dolphins killed under the guise of commercial and/or aboriginal whaling and is second only to bycatch as the major threat facing them today. Since 1990, people in at least 114 countries consumed one or more of at least 87 species of marine mammal, however only a few percent of the small whales, dolphins and porpoises actually consumed will ever be reported in official reports due to the illegality of the practice and the fact that much of the trade is therefore driven underground. Any available information determining the extent of the problem therefore are widely accepted as a significant underestimate. Where do the hunts take place? On an almost daily basis, numerous dolphin hunts are being undertaken in countries throughout West Africa, Latin America, the Caribbean, the South Pacific and Asia. The reasons for the hunts (which can include single or multiple individuals) vary from place to place with some claiming traditional and cultural beliefs. In some places, the availability of dolphin flesh originally stemmed from using dolphins who were unintentionally caught in fishing nets for bait and/or food, and the practice has evolved both due to an acquired taste for the meat, as well as the inability to sustain families with food, as fish resources plummeted due to over-exploitation. While many countries entertain hunting, here are three example showing why these hunts can flourish despite local efforts to prevent them. Sri Lanka for example has been identified as one area where the problem of directed dolphin hunts for human consumption and shark bait has been escalating with a growing trade in the illegal harvesting of dolphins, primarily for bait in long line fisheries as well as for food. The practice is illegal as all marine mammals are protected in Sri Lanka, but despite stern warnings from the authorities, the threat of hefty fines and prison time, the killing continues and the availability of dolphin meat has continued to thrive on the black market. Despite being illegal, approx. 15,000 dolphins are killed every year in Peru. Some are destined for dinner plates but the others, who have been either harpooned or clubbed to death and then butchered are used as shark bait for an ever-increasing market in China for shark fin. In many communities throughout West and Central Africa dolphins were traditionally revered, however pressure from rapid population growth and declining fish catches is overriding any religious-inspired reluctance to consume them and they have become a regular food source. In Ghana for example, the otherwise accidental catch of dolphins by fisheries has gradually turned into a targeted hunt for dolphins, either for human consumption or shark bait. In 2014, more than 743 dolphins, mostly clymene and bottlenose dolphins, were landed in one port alone. Thousands of dolphins and small whales are being killed in cruel hunts every year. Your support will help WDC to stop these needless deaths. Concern however is not only limited to the small whales and dolphins themselves but also to an emerging human health issue as a result of the consumption of whale and dolphin meat. Evidence points to the accumulation of environmental pollutants (mercury, PCB’s, organochlorines etc.) in the muscle, blubber and organs of small whales and dolphins and not only can this impact upon their ability to reproduce but can carry risks for people who consume them. Health warnings surrounding the consumption of whale and dolphin meat have been expressed by scientists in both Japan and the Faroe Islands where the majority of studies have been undertaken however there are a multitude of areas around the world where next to nothing is known about contaminant levels of small whales and dolphins. For example, the provisional permitted levels of mercury in Japan (fish and shellfish) is 0.4 µg gˉ¹. In the Faroes, the average mercury concentration in pilot whale muscle is 3.3 µg gˉ¹. 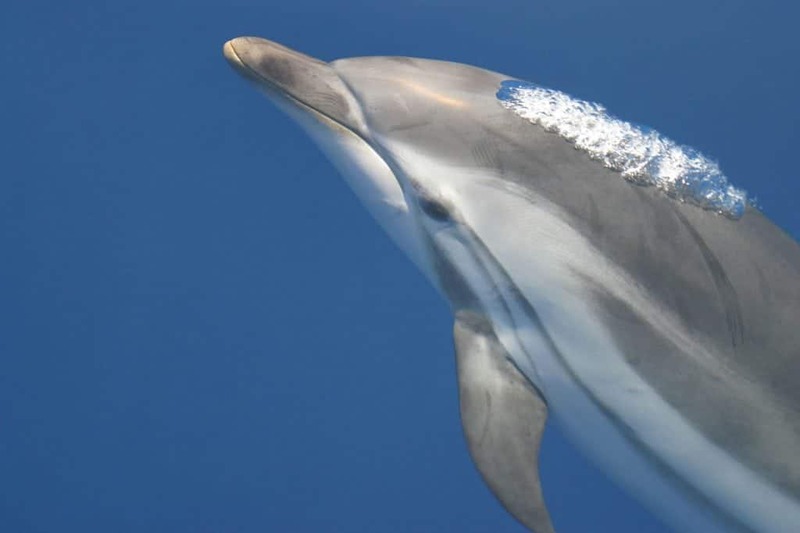 A recent study from St. Vincent and the Grenadines showed the average mercury concentration in unknown cetacean species (dried) muscle to be 7.59 µg gˉ¹‘. This value is the third highest concentration of mercury (after blue marlin and hammerhead shark) in the ‘Seafood Mercury’ database and consumption of such high levels will be detrimental. WDC works on many different levels to end the bloodshed. You enable us to commission undercover investigations and surveillance in Taiji, Japan, where the most infamous of these hunts takes place. You support our work in Japan to work with local organisations and educate the public – many Japanese people have no idea these hunts take place. You join our campaigns to stop businesses contributing to the slaughter, such as airlines which carry live dolphins captured during the hunt for zoos and aquariums. You help us influence legislators and decision makers to tighten laws to protect dolphins. WDC's scientists are leading authorities on this issue and are working with colleagues across the globe to get the problem wider recognition. Thanks to our efforts international fora, such as the UN's Convention on Migratory Species (CMS), are asking countries to address the unsustainable consumption of meat from dolphins and small whales. Despite human health warnings, hundreds of pilot whales continue to die. One of the most notorious hunts. Dolphins are also sold to the captivity industry. Over one million small whales and dolphins have been killed in the last 70 years. A global review of the impacts of hunting on small whales, dolphins and porpoises. 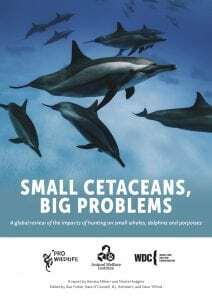 Read our in-depth report into the hunting of small whales and dolphins around the world (published in 2018). Adopt a dolphin and help us end cruel dolphin hunts.